Happy, healthy children in Lusaka, April 2017. Healthy Kids/Brighter Future (HK/BF) is a mission based initiative founded by an amazing young leader, Lonnie Hackett. 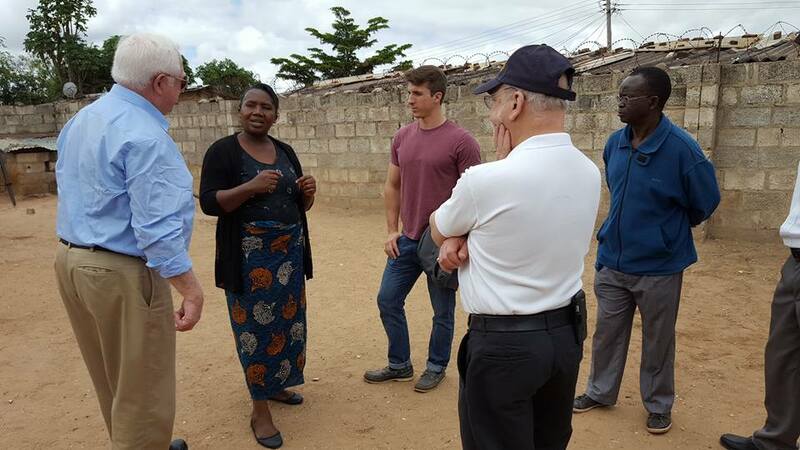 The goal of this Maine native and 2014 Bowdoin graduate is to improve the health and learning of at risk children in one of the poorest neighborhoods of Lusaka, Zambia. The program trains a teacher health corps and makes local schools a point of access to primary healthcare and health information. In 2015, Ipswich Rotary began partnering with the Rotary Club of Brunswick, Maine to raise funds to support this important health and peace initiative. 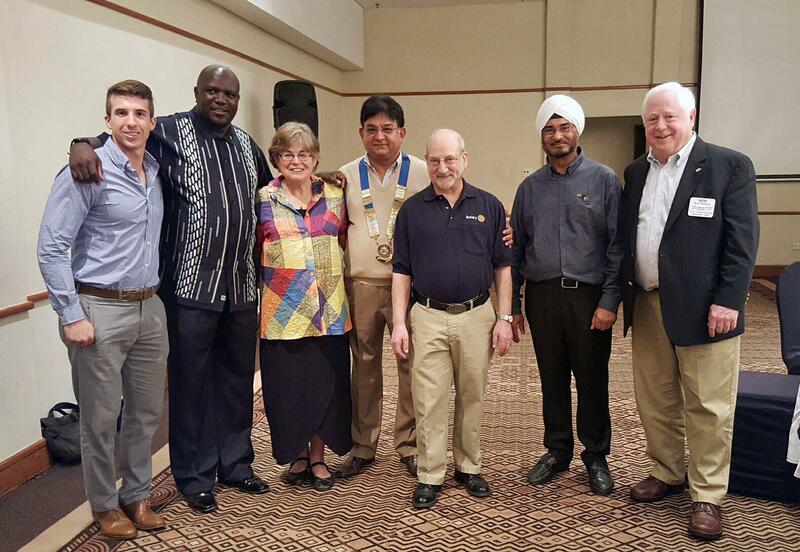 Under the leadership of Past President Bob Gravino, several clubs from our Rotary District joined Brunswick and Ipswich to raise over $37,000 in 2016 though a Global Matching Grant from Rotary International. 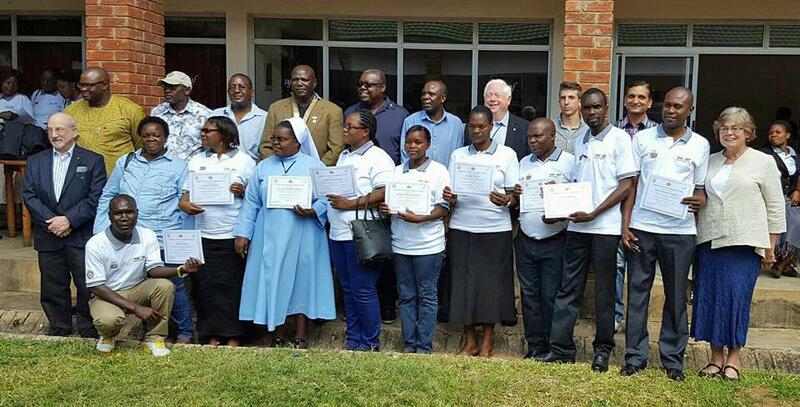 Health workers graduation in Lusaka, April 2017. 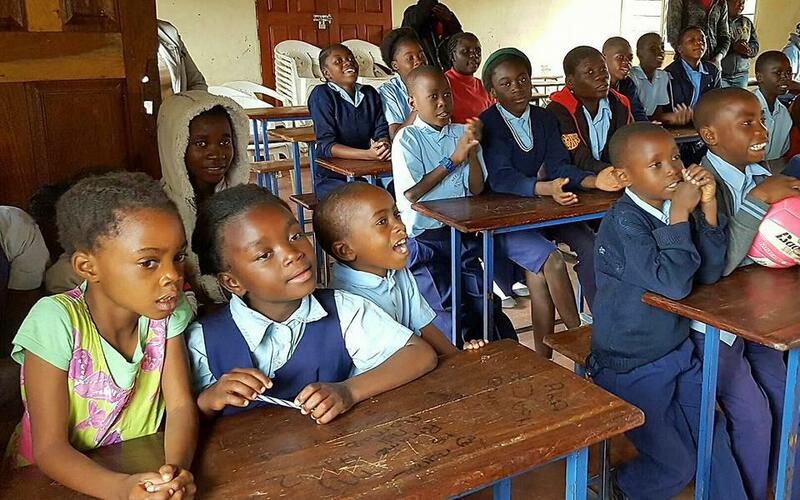 When Lonnie began his work as an undergraduate in 2013, he learned that up to 40% of students in Lusaka schools were suffering from treatable diseases and malnutrition. 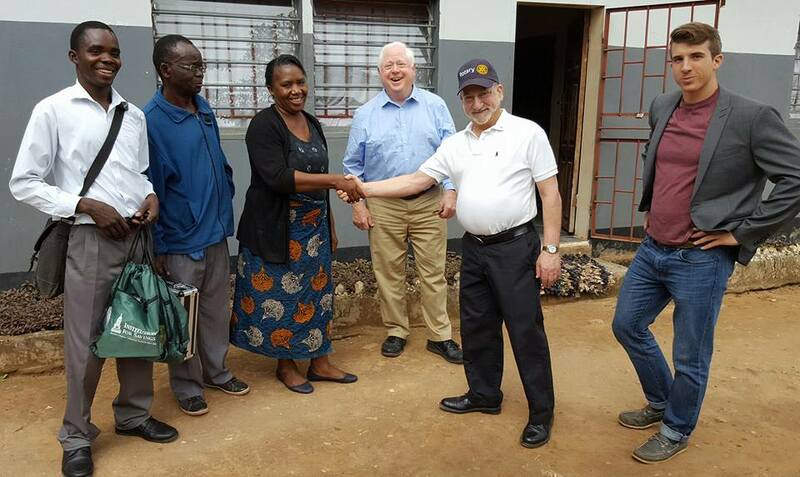 Working with the Nkwazi Rotary Club in Lusaka and other local health care providers, HK/BF began expanding the teacher health corps. Beginning with 5 schools in 2014, the program now supports 50 schools and over 95 teachers, reaching more than 11,000 students. With a 45% increase in people seeking health care, and as a result of the program’s success, the Zambian Government has begun assuming responsibility for the sustainable programs. With the support he has received from Rotary, Lonnie hopes that HK/BF will be serving 25,000 students within six months. Bob, Lonnie and Jim chat with the staff. Nkwazi President Godfrey welcomes Jim, Kathy and Bob to the graduation ceremony. Noon lunch at the Rotary Club of Lusaka Central with new friends Lusaka Central Club president Arun Mohan and Daljeet Singh, and with our hosts Lonnie Hackett of Healthy Kids/Brighter Future and Godfrey Mwanza, president of Nkwazi Rotary Club. 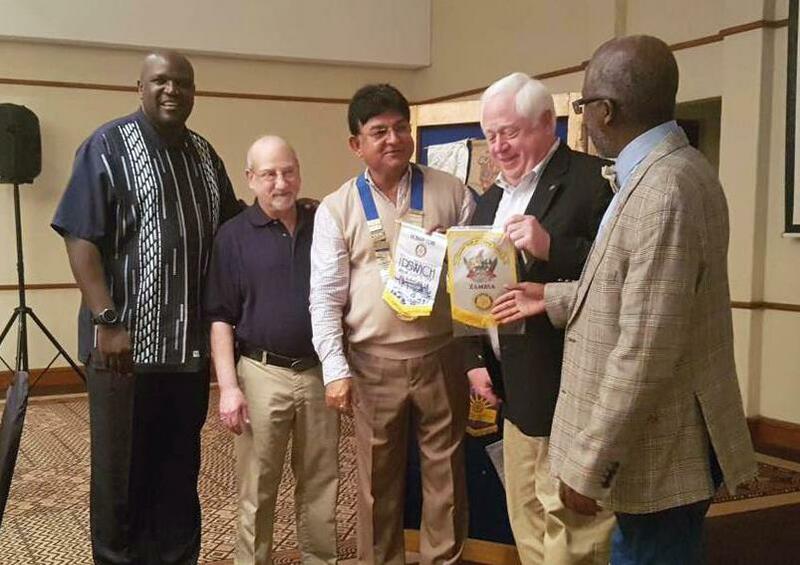 Exchanging banners at Taj Pamodzi Hotel, from left, President Godfrey Mwanza, Nkwazi Rotary; Past President Jim Stone, Ipswich Rotary; President Arun Mohan, Lusaka Central Rotary; Past President Bob Gravino, Ipswich Rotary; District Governor Nominee Chisambwe Douglas Katengo, Kusinta Rotary. 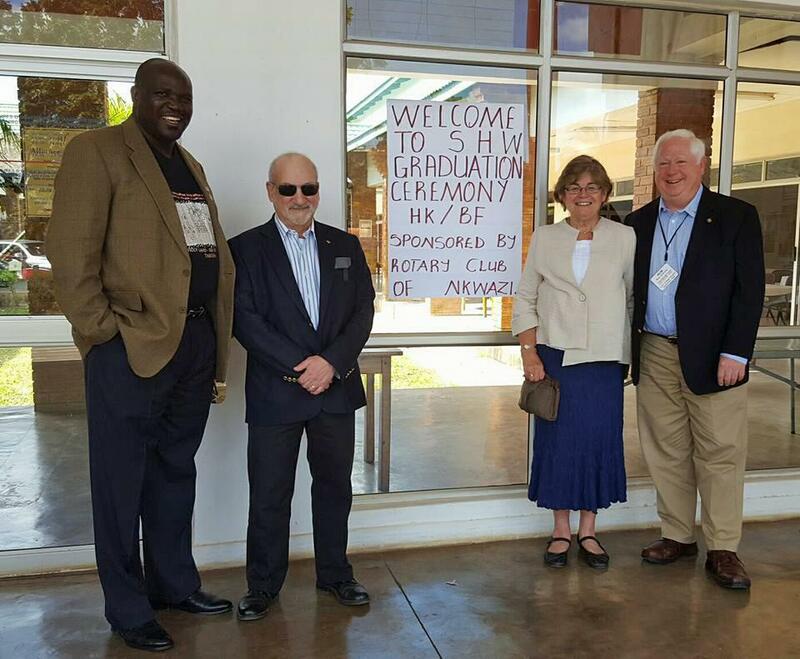 The Rotary Club of Nkwazi welcomes visiting Rotarians Past President Bob Gravino and his wife Kathy, and Past President Jim Stone. 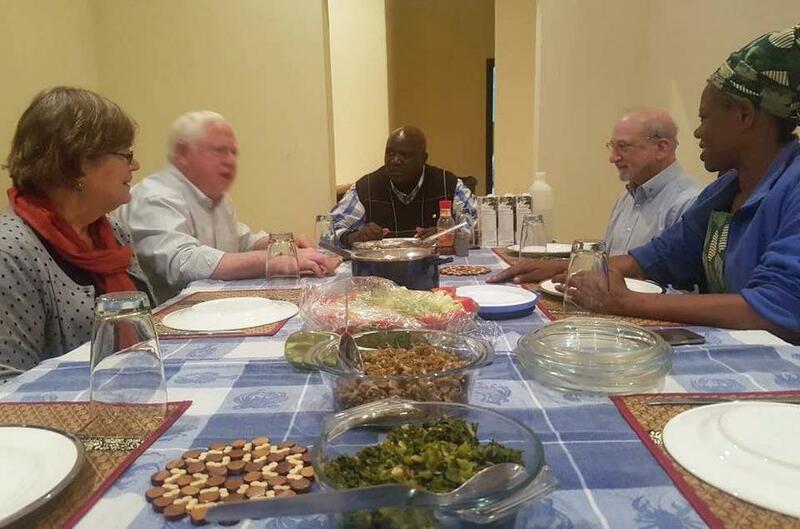 They are being home hosted by President Godfrey Mwanza and his wife, Mbaweni. We are doing a joint Health project with them worth over $100,000 helping kids in vulnerable schools in Ngombe, Kanyama, Matero and Chaisa get free health checks in order to have a better future.